TN government, 4,59,410 persons have been repatriated to India of whom 3,33,843 are covered by the agreements. Chennai: For the first time in the history of more than half a million Tamil repatriates from Sri Lanka who continue to struggle hard to survive in the plantation regions of the state because of the plummeting prices of tea, coffee, rubber and pepper, a youngster from the segment, who battled poverty and fought against heavy odds, has become an Indian Administrative Service (IAS) officer. 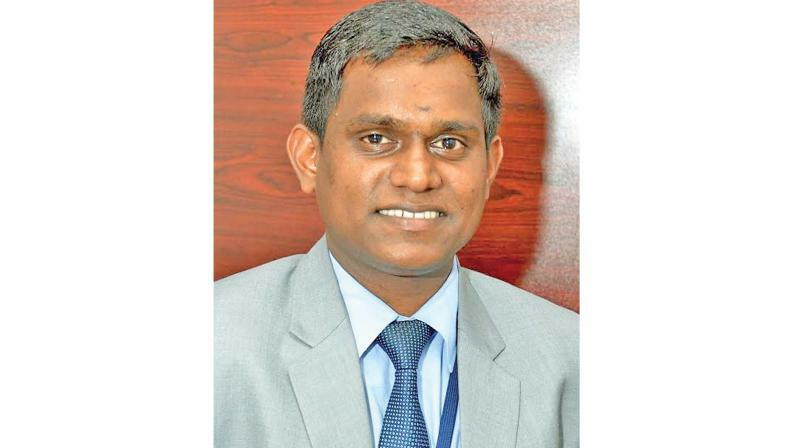 It was history of sorts last week when Inbasekar Kalimuthu, who hails from a Tamil repatriate plantation workers’ family of obscure Padassery village in Pandalur taluk of Nilgiris district, became assistant collector of Kozhikode district in Kerala. Inbasekar represents the impoverished and backward Tamil repatriates who occupy certain pockets of hill stations Nilgiris, Kodaikanal and Yercaud. “We are a community displaced twice. Our forefathers had been uprooted from their native places way back in 1823 as the British wanted them to clear Sri Lanka’s forests to set up tea estates there. They were forced to look for a new home after the Sri Lankan government stripped them of their citizenship once it gained independence in 1948,’’ said Inbasekar in an interaction with Deccan Chronicle. IAS while working as a scientist with agricultural research centre in Delhi. It was sheer will and determination that brought him the laurels. His assuming of the new position has brought a cheer to the faces of the repatriate community. India would absorb another 75,000 people and Lanka an additional 75,000 as its nationals so that the ratio would read: For every seven Tamils repatriated to India, Sri Lanka would grant citizenship to four. The entire process was expected to be completed by October 1981. The repatriation which began in 1968 continued till 1983, when the ferry service between Talaimannar in Sri Lanka and Rameswaram in India was suspended due to the militancy in northern Sri Lanka. “As traditional plantation workers, our families are in distress due to the severe crisis existing in the field. Hope my new office would help invite public attention to the survival struggles of my community,’’ he said. According to a policy note issued by the TN government, 4,59,410 persons have been repatriated to India of whom 3,33,843 are covered by the agreements and the balance represents a natural increase. Another 60,000 people have come in through the air route since then.